Dr. Weeks’ Comment: In a nation of laws, sometimes the courts are the last resort for reason. A “stop the shot” campaign has hit federal and state courts. This past Friday, a group of New York doctors and health care workers asked a federal judge in Washington, D.C., to order the federal government not to distribute the H1N1 vaccine. Specifically, they’re challenging the legality of the licensing of the swine flu vaccine, alleging it was approved too quickly without appropriate testing for safety and effectiveness. Furthermore, the plaintiffs, who filed their suit in the U.S. District Court in the District of Columbia, are seeking an immediate court order to halt mandated H1N1 flu shots in New York state. That mandate is also facing a legal challenge in New York state trial court in Manhattan, where a lawsuit on behalf of 60,000 state health care workers has been filed against the state health commissioner to halt the required flu shots. 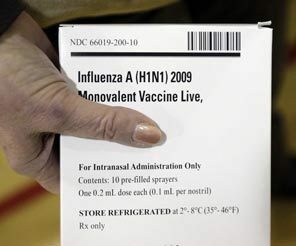 A similar lawsuit has been filed in the state of Washington, where the Washington State Nurses Association is suin g a multifacility health care provider over a policy requiring nurses to get vaccinated for both the seasonal and swine flu. * Swine Flu: To Vaccinate Or Not?